A quick and easy slide to make. 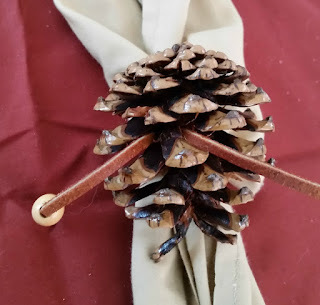 The best part of this is picking up a pine cone some time when your are attending an event you want to remember. A couple of coats of poly and a leather loop to finish it off. This pine cone was picked up on a camping trip with the Troop.